The first-time winner played a great match equalling the Final World Record, and defeating the home champion, the 2008 Olympic Bronze Reitz of Germany. Also thanks to a special lucky charm from his son: a baseball ball. 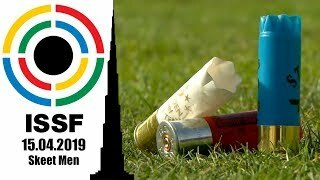 Japan’s Akiyama Teruyoshi equalled the current final world record of 34 hits to win today’s 25m Rapid Fire Pistol Men event, pocketing his first ISSF World Cup Gold medal on the lines o the 1972 Olympic Shooting Range of Munich, where the last stage of this year’s ISSF World Cup Series is held right to Sunday the 26th. 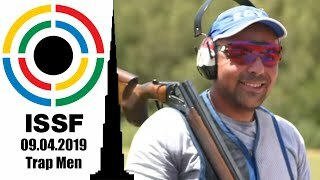 The 40-year old shooter started off the final in sixth palce after qualifying with 584 points, and then started climbing up thanks to an irresistible series of 4 and 5-point rounds. While the other finalists, one after the other, had to leave the match, Akiyama kept on shooting strong series right to the end, when he outdid the home shooter Christian Reitz in the final duel for the Gold medal, ending up with a total score of 34 hits which equalled the final world record set by the same Reitz just one week ago at the ISSF World Cup in Milan. “I got a lucky charm with me, a baseball ball which my son gave to me before I left Japan. He could not come here to watch me shooting, and he gave me his favourite ball so that I could feel him next to me. That helped me, today!” The Japanese winner said. The Silver medal went to the 2008 Olympic Bronze medallist Christian Reitz of Germany, who finished in second with a final score of 30 hits, after nailing a couple of 3-point series which placed him four points far from the winner. 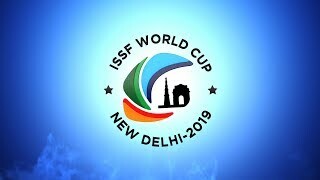 Reitz, ranked second in the world, had finished in second also at the last ISSF World Cup Stage in Milan, where he had set the current final world record of 34 hits. 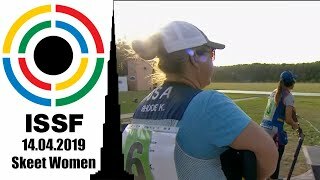 Following him, the Bronze medal went to Korea’s Kim Daeyoong, a 24-year old shooter who had never won an ISSF medal, before. Entering the final in fifth place, he nailed three great series at the beginning of the match. Than, hitting only two targets on his fourth competition series, he lost ground and finished behind Akiyama and Reitz, landing then in third place with a score of 25 hits. The first to leave the match was China’s 25-year old Ding Feng, a five-time World Cup medallist, who scored 11 hits today before leaving the match after an unlucky 2-hit series, placing in sixth. He was followed by Roman Bondaruk of Ukraine, who left the match after the fifth series, placing in fifth with 17 hits. 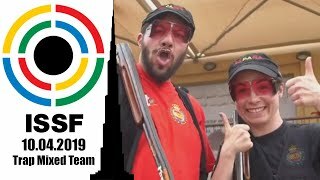 The last athletes to leave the match before the medal duels was the Chinese finalist Zhang Jian, a skilled 26-year old athlete who had won an ISSF World Championship Silver medal here in Munich in 2010. He did not make it to the medal fight, leaving the match after the sixth series with a score of 20 hits, after shooting a poor 1-hit series.